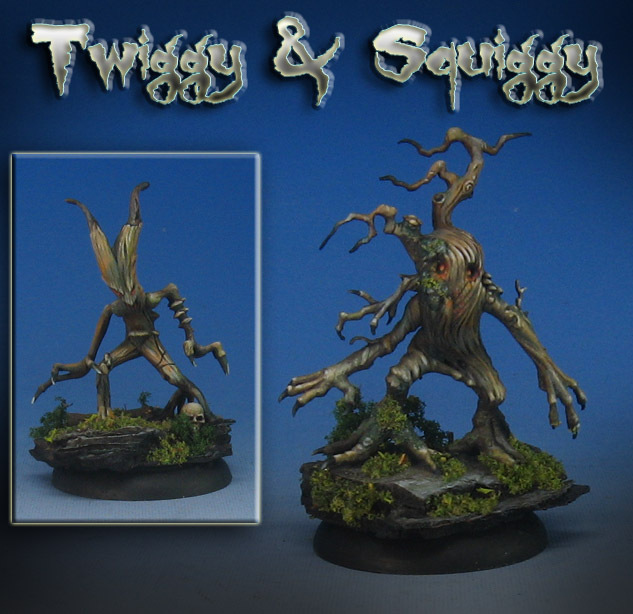 These cute little guys from Malifaux might spoil your camping trip! 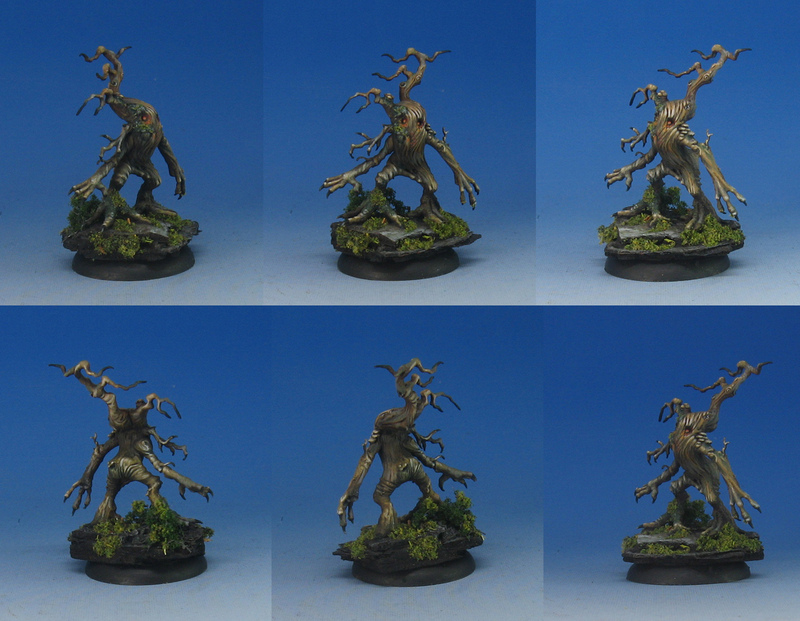 The personality of these was definitely more unique and characterful than the typical GW Dryads. I think that Twiggy and Squiggy get up to all kinds of hi jinx in the woods, messing around with hapless humans, putting out campfires, etc. 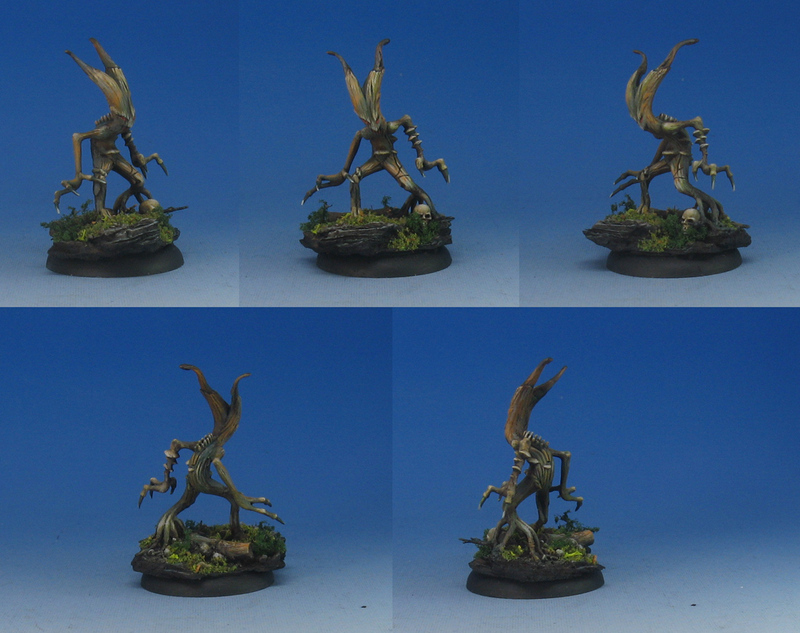 They are definitely more "whispy" than the GW versions, so assembling them can be more of a challenge. However, it was well worth it, as it was very fun to work with greens, oranges and other interesting tones in the mid tones and even the shadows!